The Headroom Clearance Checker is run through the process, prior to the SCORPION® 2 Equipment, to confirm that the required headroom clearance is available throughout the process. If the clearance checker comes in contact with any overhead obstruction it will fold flat and pass through the process. Failure to check headroom can result in the SCORPION® 2 Equipment getting caught in the process, resulting in costly damages. The Hinged Headroom Clearance Checker is made up of two long stainless steel panels connected via a continuous hinge and a two-point magnetic base. This is used to check headroom when a 40mm (1.6”) thick Thermal Barrier is being used to protect the SCORPION® 2 Data Logger. A Headroom Clearance Checker Extension is used when checking a process that requires a 50mm (2”) to 125mm (4.9”) thick Thermal Barrier to protect the SCORPION® 2 Data Logger. 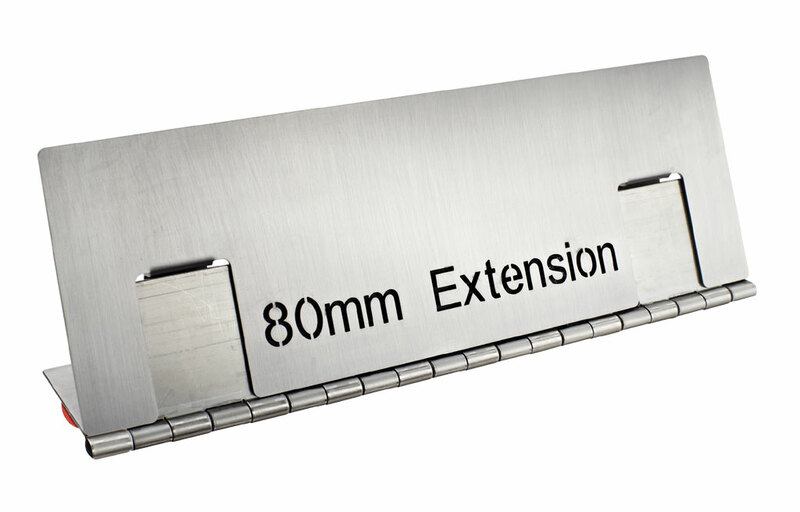 The Extension clips onto the Hinged Headroom Clearance Checker and there is an Extension available to match every Thermal Barrier size.